locations to serve you; Salt Lake City and our facility in St. George! reliable, energy efficient performance year after year. The Faster, Simpler & Smartter way to frame! for over 100 years, and has 8 Utah locations to serve you. Call and Speak with One of Our Experts Today! your whole office and just the way you guys do business. you help us feel. It means a lot to me. THANK YOU! things are on time, correct, and good value for us. expect many more years of continued success together. very impressed and had to share. Your driver deserves a kudo. Heber Valley and surrounding areas. Burton Lumber will achieve, through dedication, cooperation, determination, and leadership of all its employees, a level of service, quality, and competitive pricing that is superior to our competition. We will do this in a manner that is profitable to both our customers and to ourselves. Burton Lumber is a family-owned building material dealer with a rich history. The company boasts 8 locations throughout Utah, but the property on which the original store was built was part of a farm that Robert T. Burton acquired soon after coming into the Salt Lake Valley as a pioneer. Burton Lumber's business charter dates back to 1911 when Willard C. Burton became the president of the company. In those early days of our business, deliveries were made with horses and wagons. Burton Lumber on State Street was housed in a simple frame building for many years. In 1939 an unfortunate accident occurred, and the small store burned down. This and the economic slowdown caused by World War II combined to cause real problems for our small company. A new lumber and hardware store which was state-of-the-art for its time was rebuilt in place of the store that burned down. Another small hardware store was added in the Olympus/Holladay area in 1966. In 1983, the State Street store was remodeled again to add more office space. Burton Lumber's Salt Lake Door Shop was created in 1975 and began as a two-person operation from a small shed behind the State Street store. The Door Shop changed locations in 1982 and moved to what was known as the Burton Lumber Project Center in West Valley City. The Project Center built and sold doors, fireplaces, and cabinets. Relocating again in 1986, the Door Shop was moved back to the newly acquired warehouse behind the State Street yard. However, with business booming, it was soon recognized that Burton Lumber's Door Shop needed yet a larger space for its rising production rate. In 1998, the Burton Lumber Door Shop made its next move to a larger building on the west side of the State Street yard. 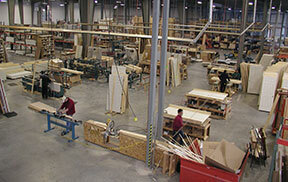 In October of 1993 Burton Lumber opened a lumber yard and door shop in Washington, Utah. The Truss Plant began in Salt Lake City in 1996 on California Avenue. The Lindon, Layton and Logan branches, each containing a small door shop, opened between 1997 and 1999. One of the biggest changes to the company came in 2003 when the company purchased a 200,000 square foot facility on 30 acres of land near the Salt Lake City International Airport. This new facility combined our State Street yard, Door Shop, Truss Plant and has been instrumental in helping our company to respond to the high demand for building materials. Burton Lumber has a rich, long-lasting heritage. Although Burton Lumber has grown rapidly and modernized greatly, many things remain the same. Burton Lumber is still a fun place to work. 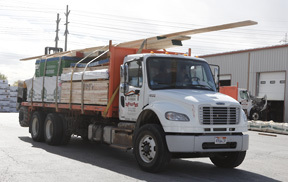 Burton Lumber still provides an invaluable service to the Utah community. When you drive by houses, subdivisions, commercial buildings, and churches, you know that many of the building materials in these structures were provided by Burton Lumber and much of the construction expertise -- wall panels, trusses, doors, and finish work -- was provided by knowledgeable and dedicated Burton Lumber employees. It is this dedication, expertise and customer service that will carry Burton Lumber forward toward the future. At Burton Lumber we consider all of our employees to be family, and that’s why most of our employees stay with us over time ... we care. We are proud that the Average Time with the Company is so high, as that means our employees are happy. Corporate Officers - Avg 19 years, Management - Avg 13 years, Account Managers / Sales - Avg 13 years and all employees combined Avg 8 years. Thank you to all of the wonderful people that always go above and beyond, and who make Burton Lumber such a great place to work! 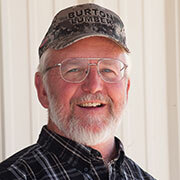 Dan has been with Burton Lumber for 35 years. 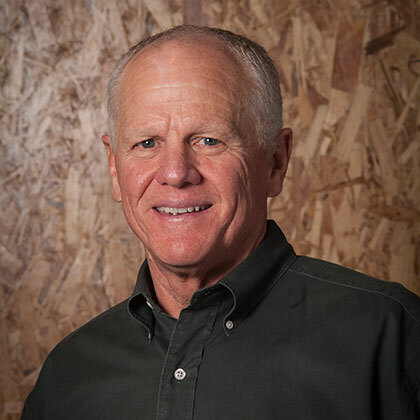 Dan has also served on the Board of Directors for the Mountain States Lumber & Building Material Dealers Association and the Associated General Contractors. He graduated from the University of Utah in 1976 with a degree in Finance and served in the U.S. Army Reserves as well as enjoying a brief stint in Professional Baseball with the Detroit Tigers. 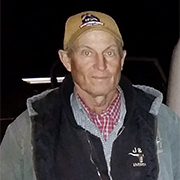 Dan is married with 3 children and enjoys hunting, fishing and the outdoors in his spare time, but his favorite pastime is playing with his grandchildren. 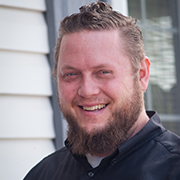 After college and a professional baseball career in which he played for the Chicago Cubs and the Pittsburgh Pirates, Jeff began working at Burton Lumber. 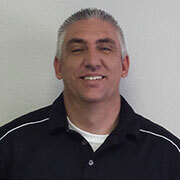 Jeff has worked for his family’s company for 30 years and besides being an owner, runs the sales department. Jeff is married and has 5 children, most of who have also worked at Burton Lumber. 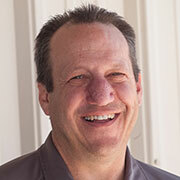 Jeff is a very active person and enjoys skiing, golf, and bicycling in his spare time. 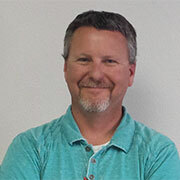 Jeff enjoys the responsibility of leading a good company that employs people throughout the state of Utah. He takes pride in his company’s history which has helped to build Utah since 1911. JoAnn started her accounting career in public accounting and after thirteen years of CPA work, began working at Burton Lumber in 1999. 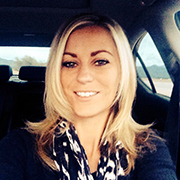 JoAnn graduated from Weber State University in accounting for both her Bachelor’s and Master’s degrees. Burton Lumber has been a great home and a business family to JoAnn for many years. JoAnn and her husband Jerry have four children and one grandchild and enjoy traveling all over the world. 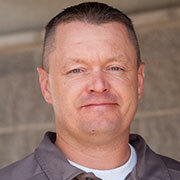 Mark has over 15 years with Burton Lumber. Earned his MBA from Utah State University. While attending Utah State University he was an All Conference Track Athlete for 4 years. 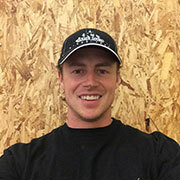 Mark is Married with 2 Children and enjoys many outdoor activities with his family. 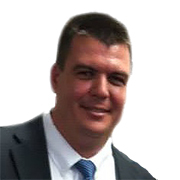 Mark started at ground level and worked his way up the company in many different positions. It is the knowledge and experience that he gained while wearing these many hats that makes him perfect for his current position. Jake has 17 years with Burton Lumber. Jake earned his Degree in Business Management. 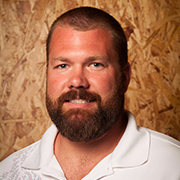 He is Married with 4 Boys and enjoys camping, fishing & traveling with his family. Jake started in the yard, worked his way up to Yard Foreman and has been with the Human Resource Department for the past 12 years. Gary has been in the supply side of the building industry for 20 years. He began as a little kid sweeping the yard at Cook Lumber. 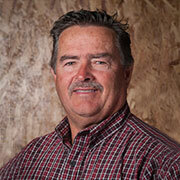 He spent 15 years with Boise Cascade in Various positions including the General Manager in Grand Junction, Colorado. 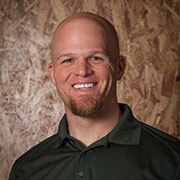 In 2009 he moved his family from Colorado to Utah to accept his current position as Director of Sales at Burton Lumber. 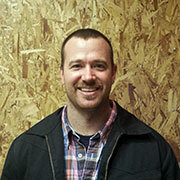 He enjoys outdoor activities, supporting kids in their various sports, and working with a great team at Burton Lumber. 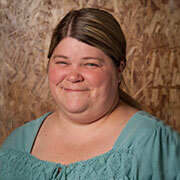 Charlynn has been with Burton Lumber for seven years and is the Director of Information Technology. Before coming to Burton Lumber she worked for Dimensions Software Burton Lumber’s current ERP System) for thirteen years. She has always enjoyed working out system problems and working in the Lumber industry. 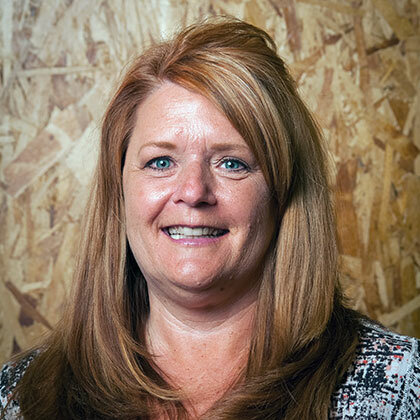 After working on over a hundred lumber yard sites across the United States, she has found a home here at Burton Lumber. Please contact me with any questions about your Burton Lumber Credit Account or any other account issues. 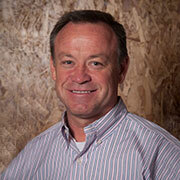 Tom has been in the building industry for 21 years, all of it with Burton Lumber. He manages 35 employees and enjoys the challenge of running this division of Burton Lumber. 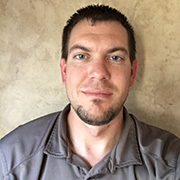 Tom loves being in the outdoors whether it be camping with his family in the Uintah mountains, wakeboarding at Lake Powell, or just riding horses with his family and friends. He has a passion for “Mopar”muscle cars and gets great satisfaction in passing that passion and knowledge of old cars on to his son. 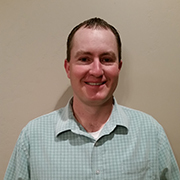 He is a current member of several activity clubs such as: Mopars of Utah, SLCX Club of Utah, CopperRidge Riding Club and Utah State Western Riding Club association. 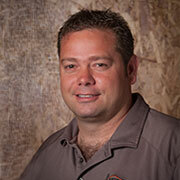 Brian has been with Burton Lumber for 11 years and has 19 years in Building Industry. He obtained two degrees from Weber State University: Business & Spanish. 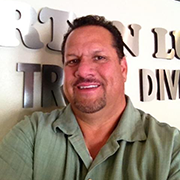 He is a Member of North Wasatch Home Builders Assoc. (NWHBA) and is married with 3 Boys. Brian loves coaching youth sports. Teryl has been in the Building Industry for 35 years. He spent his first 20 years as a General Contractor and the last 15 years with Burton Lumber managing the Northern Truss Plant. He has been married for 34 years, has two children and 4 grandchildren. He enjoys being his grandkids biggest fan and attending all of their events. He also enjoys all outdoor activities; especially softball, golfing and hunting. 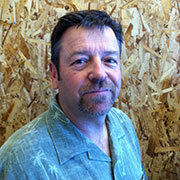 Wayne has 24 years in the Building Industry and has been with Burton Lumber for one year. Wayne is married and has 4 children. 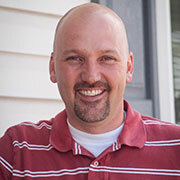 He has past involvement with the Home Builder’s Association and is involved in his Church and the Community. His favorite pastime is cheering for his kids at all their sporting events. Away from work I enjoy spending every minute with my family, it is a great feeling spending quality time together, whether it's to the movies which we do a lot, riding my Dads horses, and best of all traveling to our favorite place Sunny California. 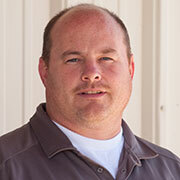 Caleb has been with Burton Lumber 8 years and has 20 years in Building Industry. 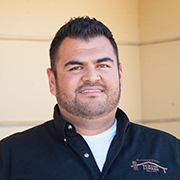 He is also a Licensed General Contractor & Building Inspector with his BS Degree in Business Management. Caleb is Married with 3 boys and been a Scoutmaster for the past 5 years. 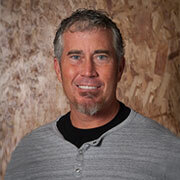 Has been with Burton Lumber for 14 years, and has 20 years in the Building Industry. Jed is married and has 3 children. He enjoys his time with family and reading. He also is a Drummer and a DJ in Northern Utah/Southern Idaho weekend-warrior circuit. 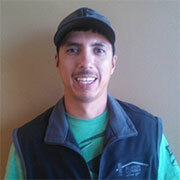 Darwin has been with Burton Lumber for 11 years and has 24 years in the Building Industry. Married with 5 Children, and enjoys sports, camping, woodworking and coaching youth sports. He is also, actively involved in community & church services. 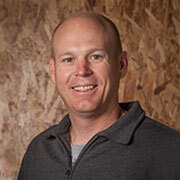 Brian Has been 16 years in the Building Industry all with Burton Lumber. He is Married with one Daughter, and I enjoy the outdoors, camping & Fishing. He also as yet to outgrow the love of playing video games. 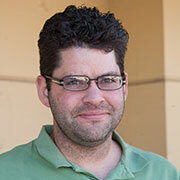 Matt has been with Burton Lumber for 19 years. 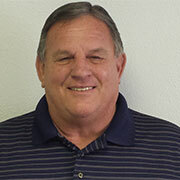 He was Supplier Associate Member of the Year in 2010, an award from the Southern Utah Home Builders Association. Matt is married and has 3 children. 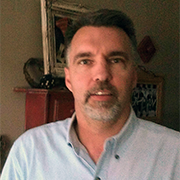 He enjoys refurbishing classic vehicles and Is his children’s biggest Fan and Cheerleader. 35 year in the building industry. Experience in both residential and commercial projects. 13 years with Burton Lumber. 27 years in the building industry. 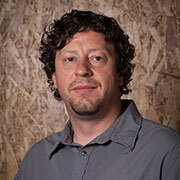 Has been in the building industry for 10 years all with Burton Lumber. Started out as a yard worker, then a driver, worked the counter, dispatcher, worked in the wall panel plant, framing, truss plant and now in sales. Attended Salt Lake Community College. Loves the outdoors; snowmobiling, water skiing, golfing and motorcycles. 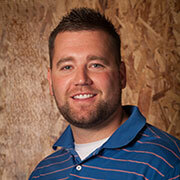 Over 12 Years with Burton Lumber & over 18 Years in the building industry. He graduated from the University of Utah with a degree in english and a minor in spanish. Tom is married with 3 children. Tom spent 4 years in Costa Rica and taught english for 2 years there. He loves to snowboard, surf, travel and to go camping with his family. 29 years with Burton Lumber. 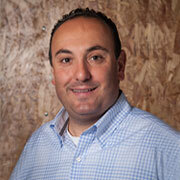 Has been involved in operations, management, and the last 6 years in outside sales. 20 years with Burton Lumber. Enjoys Football, Basketball, and spending time with his family. 11 years at Burton Lumber. Has been a Scoutmaster for 8 years. Enjoys camping, hunting, and fishing. Has been in the construction industry for 16 years. 12 in Heber (ProBuild 8 years/Stock for 4yrs). Grew up in Heber, but spent 10yrs out of state before moving back in 2006 with his wife and 4 kids. Has been in the building industry for over 27 years. 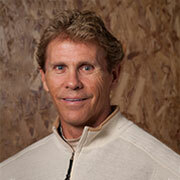 Joined his Father’s Lumberyard in 1987 and has been in the Lumber Business ever since. He is a lifetime resident of Heber and plans on spending the rest of his life there with his wife and 4 kids. Has been in the industry for over 22 years. Born and raised in Heber City and loves being part of that community and is excited about all the new growth in that area. Have worked in the building industry for over 18 years, with 12 years experience in outside sales. I love working in small towns with local people and being able to see those projects years after they have been completed. I have always loved building and seeing things take shape. My greatest enjoyment comes from spending time with my wife and our five children. 2 years with Burton Lumber. 26 years in the Building Industry. 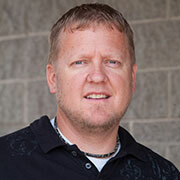 Kyle Kunz has been in the Building Industry for 20 years all of which have been with Burton Lumber. He has been happily married for 12 years and has two beautiful daughters. 2 years with Burton Lumber. 27 years in Building Material Sales and Management. BYU Graduate. 2 years with Burton Lumber. 6 years in the Industry. Member of IDA (international door association) Residential, Commercial and Custom. 12 years at Burton Lumber. 15 years in Building Industry. Committee Chair for the Charity Committee for the Northern Wasatch Home Builders Association. Over 15 years with Burton Lumber. A Graduate from Weber State University. 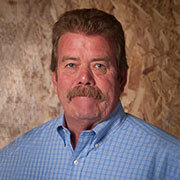 14 years with Burton Lumber, 30 years in the Building Industry, and is a Soccer Fan and Team Roper. 2 years with Burton Lumber, 18 years in the Building Industry. Hobbies include - Bow Hunting, Fly Fishing and is a Professional Square Dancer. 17 years with Burton Lumber. 21 years in Building industry. Certified Rescue Diver & Enjoys riding his Harley across Country. 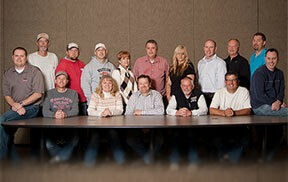 Burton Lumber has a Seasoned and Experienced Sales and Operations Team who anticipate and understand Customer needs. Every Location has Full Delivery Capability from One Ton Pickups to full Semi-Loads; including Forklift delivery. Two Fully Functional Truss Divisions: Southern Utah - St. George and Northern Utah - Salt lake City. Both locations have the ability to Design, Engineer, Manufacture and Deliver any Truss/Floor Package competitively. Exterior/Interior Door Division: On both Exterior and Interior doors we are capable of manufacturing a wide variety of Door Shapes, Sizes and Styles. Whether you are just replacing a single Door or are looking for a supplier for your largest commercial job we can suit your needs. Every Location (excluding Olympus) has a fully functional Door Shop. Highly experienced Installation and Service Teams for ALL available products. 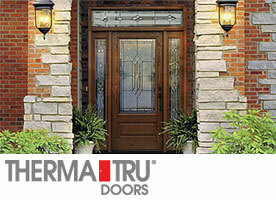 Finish Materials:This gives us the ability to sell you a Turn-Key Finish Package. Commercial Finish:Our Commercial Finish Install crews are truly an asset to your commercial jobs, not only can Burton Lumber be your source for all your Commercial Specialized Finish Products we now have the ability to offer it as an Installed Package. Delivery Service:Our Delivery Vehicles range from 1 Ton Flatbed Pickup Trucks to 26 Wheel Tractor Trailers. All of our trucks are equipped with 2 way Verizon Radios for communication with our Qualified Drivers. Garage Door Division:We are committed to high quality garage doors and repair service for residential and commercial customers. 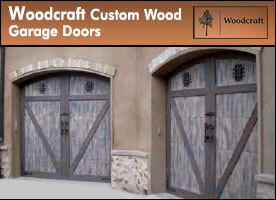 Our garage doors include traditional raised panel to carriage house garage doors in steel, wood, aluminum and glass. We are offering same-day garage door repair service including replacing broken garage door springs. We service all brands and models; ask about our same day service. All of us at Burton Lumber strive to make a difference and set an example to others, that renewable energy is not only good for the environment, but also for the bottom line of any progressive business!